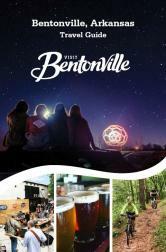 The largest family fortune on earth is run out of two floors of unmarked suites in Bentonville, Arkansas. The building is a discreet nerve center for the Walton family’s $152 billion hoard. There are plenty more overt signs of their success in the heart of the city. 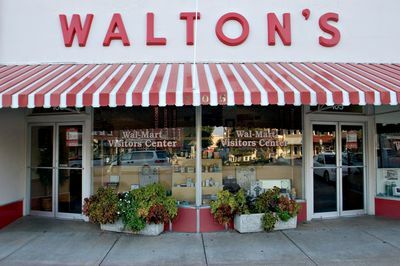 Walton’s former five-and-dime store in Bentonville, Arkansas. The town square features the former five-and-dime store -- now a museum -- that family patriarch Sam Walton opened in 1950, which was the launchpad for Walmart Inc. Across the square is a branch of Arvest Bank -- also owned by the family -- while a short walk south brings visitors to the grounds of Crystal Bridges, a $1.2 billion museum of American art built with Walton money on family-owned land in an Ozark forest.